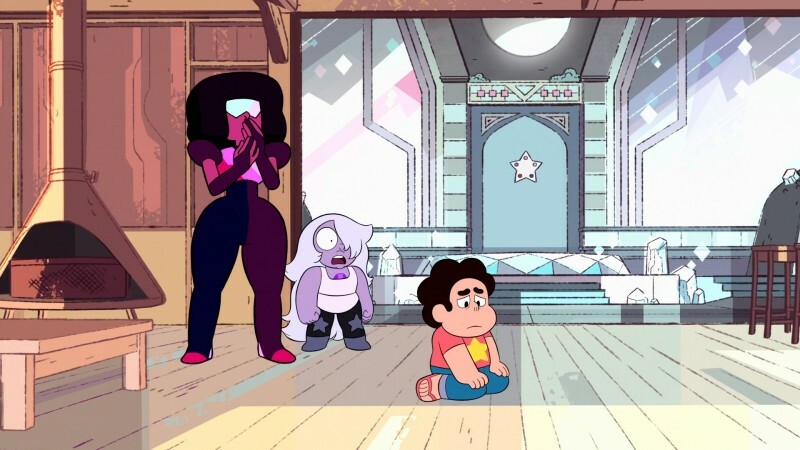 I think Amethyst’s reaction at the end of the most recent episode of Steven Universe sums up my feelings about the events of said episode perfectly. Before I go into too much more detail about all the stuff going on in my brain about the most recent Steven Universe episodes, Can’t Go Back and A Single Pale Rose, I should warn everyone that there will be spoilers. Lots of them. So, if you haven’t already watched the most recent two episodes of Steven Universe: stop reading this, go find those episodes, and watch them. And then when you’ve recovered, come back and read with me. Beyond the jump is spoilers, so you’ve been warned!